Go to "Monetization" --> "Payment Gateway" in your CMS. Type the “Access Key”, “Profile ID”, “Secret Key”, “Merchant ID” and “Transaction Key” (Which you have received after you signed up with CyberSource in the corresponding fields. Finally, click on "Integrate Payment Gateway". 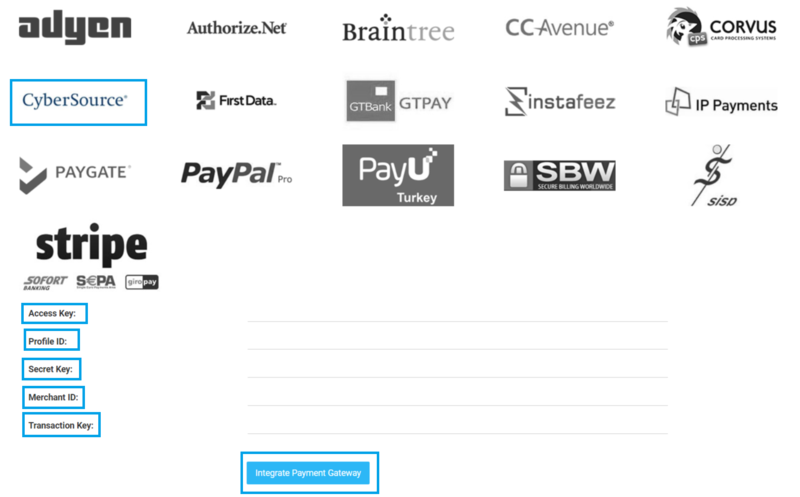 This Payment Gateway supports payment methods i.e. Subscription, PPV and Coupon. Currently, it only supports Seychellois rupee (SR/SRe) currency. However, if you wish to add other currencies, please add a support ticket.